Bob Pegritz is an accomplished folk musician living in Pittsburgh. He has learned playing the Highland Pipes in 1977 under Robert C. Gilchrist of Wilmington, Delaware and tought himself the whistles. In 2001 his first whistle orientated CD was released called Whistleworks and in 2004 Whisteworks II: Be Though My Vision. He is currently recording his 3rd album and has worked as a guest musician in over 70 CD projects. Engaged in various Celtic music groups and ensembles he focusses on Christian Music, currently busy as a staff musician in the Celtic Band at the McLean Bible Church in Vienna, Virginia which has a weekly attendance of over 17.000 people. "During a recording session in 2002, I needed a B natural whistle. I told Colin Goldie that the proceeds of the CD sales would be earmarked for the victim's families of the September 11, 2001 disaster. The instrument arrived in less than a week. 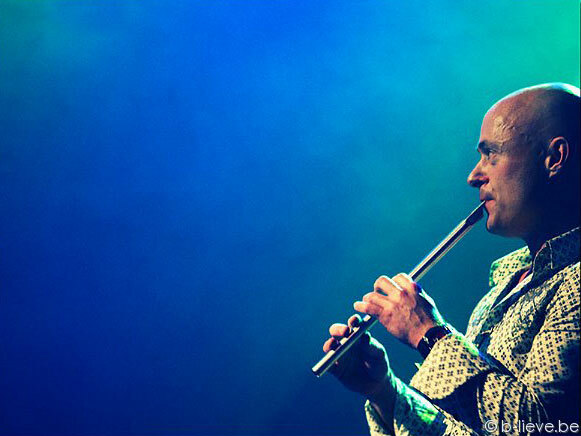 This instrument, like all of Colin's beautiful whistles, has a true tonality that has become a standard in the Celtic music industry. I am particularly fond of the "action" of the instrument in that there are no false notes or harmonics when transitioning quickly from a low to high octave or back again. Colin Goldie continues Bernie Overton's legacy by making quality instruments for the serious whistle player."